Tanzania’s sunshine hours per year range between 2,800 and 3,500 with global horizontal radiation of 4–7kWh per m2 per day. To date, about 5.3MWp of Photovoltaic (PV) solar energy have been installed in Tanzania. The Government supports solar development within the country by removing VAT and import taxes on the main solar components (panels, batteries, inverters and regulators). Solar resources in Tanzania are especially present in the central region, and they are being exploited for both off-grid and grid-connected solutions. To date, about 6 MWp of solar PV electricity has been installed in Tanzania for various applications in schools, hospitals, health centres, police posts, small telecommunications enterprises and households, as well as for street lighting. More than half of this capacity is utilized by households in peri-urban and rural areas. In central Tanzania, 1 MWp of solar PV generates about 1,800 MWh per year and requires about 1 hectare of land. 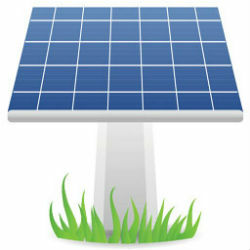 Theoretically, solar PV could generate large shares of electricity. On the basis of a 20% constraint on total national production in 2025, the potential for grid-tied solar PV could be about 800 MW. “Given that large-scale, grid-tied solar PV installations are being undertaken in some countries for under USD1,750 per kWp, its prospects in Tanzania should be excellent,” the African Development Bank (AfDB) indicates.